Home / Chicosci / Music / This is Not a Chicosci Record / This is Not a Chicosci Record Album Mall Tour?! This is Not a Chicosci Record Album Mall Tour?! This is Not a Chicosci Record album mall tour? 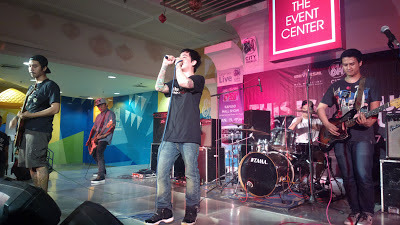 But it is a Chicosci mall tour for the album ‘This is Not a Chicosci Record’ at The Event Center of SM City Rosales, Pangasinan on January 27, 2013! I’ve been eyeing that signage about the mall tour for days or even a few weeks now. 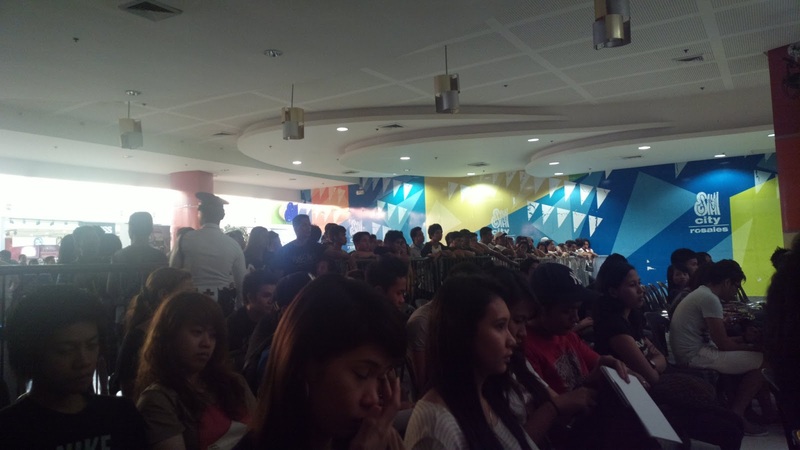 During the actual show, the anticipation was made even worse while waiting for the band, who were probably caught in the long Sunday afternoon drive’s traffic from Tarlac City (where they were the day before). 4 PM became 5 PM and at last, at least the band’s crew eased the eagerness as they started to prepare the stage for Chicosci. One by one, the members also peeped out like a movie teaser and faded away behind the stage again. A former fellow co-employee is lucky enough to have been able to see a glimpse of the band firsthand at the backstage, being an events coordinator for the mall. At long last, the wait is over! Every member of the band started testing their instruments and everyone on their seats started screaming too. It was louder when Miggy Chavez came out and asked seated guests to come forward. I was one of the first to flee from my chair towards the barricade in front of the stage. I forgot I had a bag to attend to. Good thing my beau was there to pick it up. And so the cheer went on with every song, along with non-stop picture and video taking. The band played songs from the newest album they’re currently promoting now as well as songs popularized during the past albums. 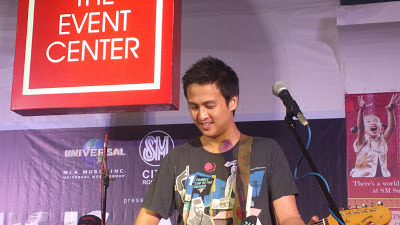 There were also tracks from other OPM bands, not to mention samples of song requests from the audience. But what’s unforgettable about it, at least for me, were Miggy Chavez’s constant invitation for the crowd to participate. First, he asked us to come close towards the stage; next, he got permission from the mall’s personnel to let everyone else at the far end of the barricaded event center to join us in front too. Of course, he would constantly ask if everyone’s doing well, including those who were standing all the way at a few mall stalls fronting the center. He had also consistently effortlessly persuaded all to participate with a few lines of a song from time to time. I also can’t miss to mention how one girl standing at the middle section of the gate was lucky enough to be serenaded even by a few lines by Miggy while holding hands. When he purposely jumped overboard, she immediately embraced him even if her friend, probably boyfriend was standing right beside here. She is chubby yet cute. 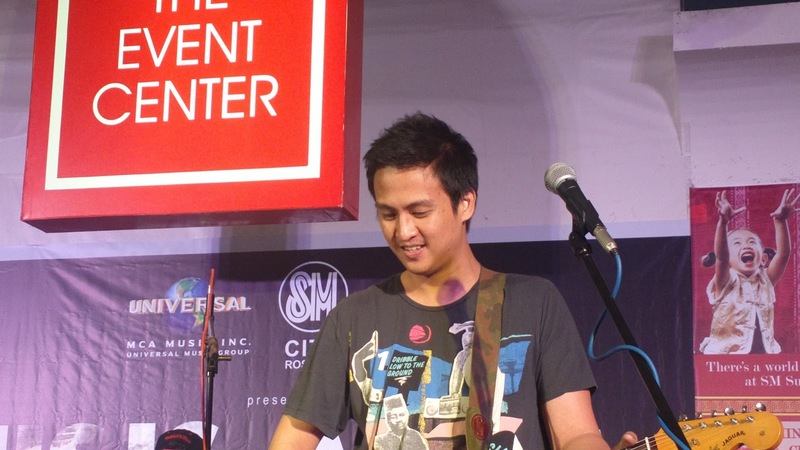 Mong Alcaraz had his own share of teenybopper moment when a young girl repeatedly asked for a kiss but to no avail for her. There were countless other couples who watched too. I can easily tell from how they jumped up and down that both guy and girl love the band and their songs. But there were more teenagers who took the time to watch the show. They reminded me of myself years ago. 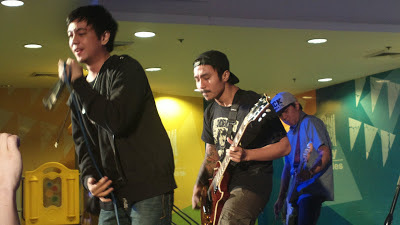 But even if I’ve matured and so did Chicosci, the band’s music haven’t waivered for years. It’s still the same mysterious lyrics with love songs beyond the norm and common formula of a soap opera (i.e. Conversations with Fire, 7 Black Roses, Sweet Maria). Upbeat tracks on the other hand can make you sway to the beat while head banging at the same time. Such songs also employ the same unique lyrical quality (Diamond Shotgun: Lock and Load, A Promise). It’s still difficult to put a label or category for their type of music. It’s something I probably have wondered for years. Each song has a different branding on its own so one can’t really categorize even an entire album into one genre alone. That being said, you can just listen to the band’s songs and figure it out on your own. It’s also refreshing to see synthesizers but not the ones with turn tables used by DJs. There were no CDs to scratch. The synths were also placed not on a table but alongside guitar foot pedals and it was Mong Alcaraz who brought them to life. That’s a new flavor you will expect in the new album. Going back to the show, the tour culminated with an album signing and picture taking opportunity with the band. I brought three disks and was overly confident enough to say I’m a blogger. Mong asked what my blog’s URL is; I said it was too long. Miggy said I should tweet it. I definitely would! I forgot to mention my name though. I also forgot that I’m supposed to buy something after the show. I was too ecstatic I could faint walking towards the exit. Another girl who was just passing by with a signed CD was also obviously excited from how she sounded like. Most of those who filed to get a signature forgot their CDs on the table. At least I remembered not to forget mine. After the show and CD signing, I was eager to go home to post the pics, videos, and a blog post. More information about the band’s history and previous albums can be read through the Chicosci Wikipedia page. And with that, catch Chicosci live in a mall near you for the ‘This is Not a Chicosci Record’ album mall tour!